HIV-related prosecutions frequently attract a lot of media attention. The following resources provide insight into developing better media reporting. Press complaints ruling about whether or not The Argus newspaper in the UK was right publishing the name of man arrested “on suspicion of putting sexual partners at risk of HIV” before he was charged. The complaint was not upheld. The author analyzed government documents and publications, news items, and some court materials from a Canadian criminal case to identify patterns and common themes. The article outlines five vilification techniques used by authorities and reporters to characterize people living with HIV (PLHIV) who do not disclose their status to a sexual partner as dangerous. This training manual helps lay the foundation for civil society advocates to become citizen journalists. It brings together journalism skills and advocacy goals to help Key Correspondents share their perspectives and experience with decision makers and wider audiences to influence the discourse around HIV and related issues. The manual introduces the basic components of journalism; so correspondents can write their stories with accuracy and using a journalistic approach to improve the potential of being published in mainstream media. It is a ‘how to’ guide for individual study. The purpose of this critical media toolkit is to inform and equip global grassroots advocates who are engaged in media response to HIV criminalisation–and to demystify the practice of working with, and through, media to change the conversation around criminalisation. The toolkit provides an introduction to the topic of HIV criminalisation and the importance of engagement with media to change narratives around this unjust practice. 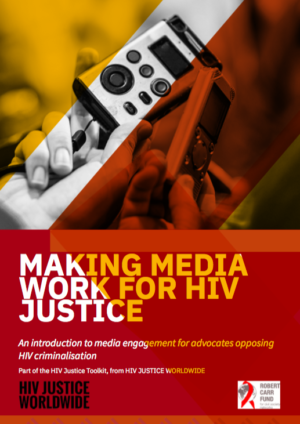 It also features a number of case studies providing examples of how media played a significant role in the outcome, or the impetus, of HIV criminalisation advocacy. In addition, the toolkit includes reporting tips for journalists, designed to educate writers and media makers around the nuances of HIV criminalisation, and the harms of inaccurate and stigmatising coverage. 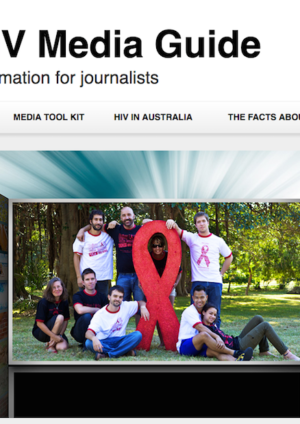 Provide journalists with tools to ensure that media reports on HIV are accurate and sensitive. With tips for best practice, links to useful resources and a section on HIV criminalisation. Argues that by speaking out, people with HIV and leaders among African communities can raise awareness of the discrimination they experience. Suggests HIV advocates can get to know the media and work with journalists to tell their stories on their own terms, spotlighting inaccurate and misleading coverage and targeting stigma. Includes language guide. Condemns the passage of the HIV Prevention and AIDS Control Bill 2010, arguing it endangers the lives of Ugandan women living with HIV and undermines Uganda’s already backsliding response to HIV.